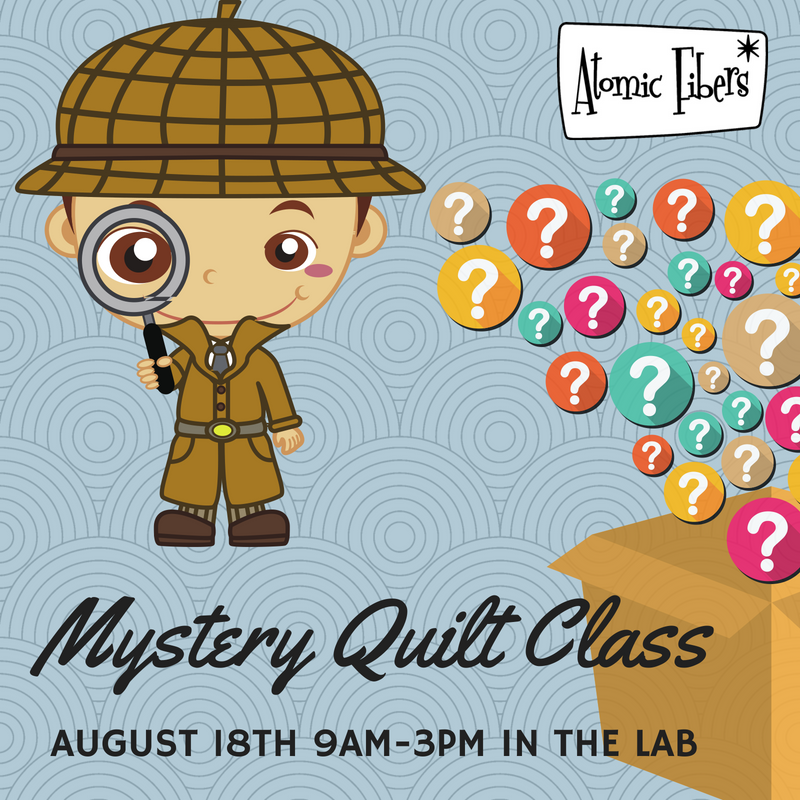 It’s another mystery at Atomic Fibers! What’s a mystery quilt? You pick bring in 1 yard of fabric and Toni will pick out and pre-cut your remaining needed fabrics to match. There is NO prep work before class! Then during the event we will sew like crazy, in steps slowly uncovering a mystery. These are fun classes and you should finished the quilt top before you leave. Come in within 4 days of class date to pick out/drop off your fabric. You will pay for your 1 yard of fabric before event; it not included in price of event. Cost for the evening of intrigue is $85 includes pre-cutting, the remaining fabric, and fun! Seating is limited, sign up early. Pattern is not included in the class fee. You may purchase the pattern after class. 1 yard of focus fabric - medium - large prints will work. No border prints.